With the Buffalo School in the midst of final interviews for th Superintendant job, I cannot help but offer ten interview questions every candidate should be asked. The benefits of lean and six sigma as applied in the educational arena are evident, but I don’t get the sense that the candidates have accomplishments at the enterprise level (school system vs. singes school level) and some don’t even have that to show. In addition, I am concerned that any of them lack the perspective or competency on key askects of running a school system that lead to improved performance. Buffalo public schools are expensive (based on cost-per-student annual figures and the results are horrible. Utilizing any of the systematic techniques for improvement are sure to help with all the low hanging fruit available. The strategy of the school board and those who govern it must also be assessed. 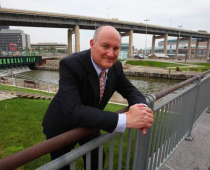 Are these the three best candidates in the United States to help Buffalo schools turnaround? I question the methodology of the search as well as the decision-making at the governance level. 1. How do you define quality of education? 2. How do you describe the strategic planning process and what are some key aspects of any effective strategic plan? 3. How does your accomplishment at the school level translate to an system-wide opportunity? 4. How would satisfy the student, the parent, the teacher as well as the administrator throughout the system, when these different stakeholders have their own interest in the educational experience? 5. What is you experience in working with unions and how can the Buffalo Superintendent’s office build an effective relationship with the Buffalo Teacher’s Union when previous leaders have failed to do so? 6. What do you know about Buffalo, it’s unique story, it’s sense of place, contribution. What makes Buffalo unique and why? 7. What metrics and measures do you use to assess and communicate the state of performance and what do you know about the current Buffalo School system performance? 8. What would be three reasonable goals, you would establish for the Buffalo Schools, that could be specific, aligned with what the community has expressed as important and when would you hope to achieve these? 9. What is you philosophy on the Buffalo School Board relationship with New York State and do you have a plan to manage that relationship to achieve effective improvement? 10. We think character is among the most important aspects of the new Buffalo School Superintendent. To guage your suitability, what drives you? Give us an example of how you feel about this opportunity as well as what you think about it? What would be a situation that you would be satisfied with, after a year in the role? Maybe we should re-examine the candidate list? Save an average of $200,000 in annual expenses with Mike Weekes and WhatAboutQuality. Mike Weekes is a business process improvement specialist with 28 years of experience helping healthcare, education, manufacturing and non-profit organizations do more with less. Call Mike today to learn more at (716) 517-7957 or email Mike at michaellovesbuffalo@gmail.com.